This video went viral the same day it was posted and it got us all worried. No one still knows what’s the white stuff floating in the water tank and why this happened, but it definitely caused a huge discussion. Have they cleaned the machine regularly, did they use vinegar or a commercial cleaner, is it because of the hard water – or soft water, are those calcium deposits or it’s mold. But most important: how dirty Keurig coffee makers really are?! First, just like all other kitchen appliances – if you don’t clean something regularly, it’s going to get filthy. So, keeping your machine clean on a regular basis is super important. The problem with the k-cup machines is the fact that the inner tank, water hoses, and valves – they are all hidden inside and they can’t be reached (or cleaned) without completely disassembling the machine. 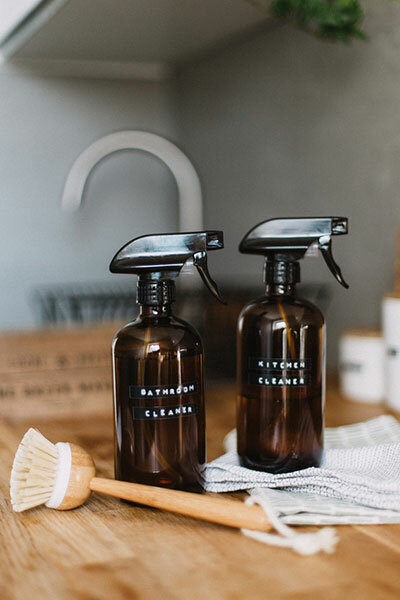 You can only rinse them during descaling or run occasional vinegar rinses and hope this will keep your coffee maker mold and germ-free. Of course, this is not limited to Keurig machines. All coffee makers with a similar construction (places that are hard to reach, non-removable or inner tanks, or very little removable parts) can have the same problem and they are just perfect for bacteria and mold to grow. Yes, even the classic Mr. Coffee can hide some nasty things inside. This video inspired others to do the same, and while some found a completely clean tank, others also found moldy build-ups and dirty tanks. Luckily, it does seem that most of those are only calcium deposits left from descaling. So, how can you make this situation better?! Lots of people simply ditched their k-cup machines right away. 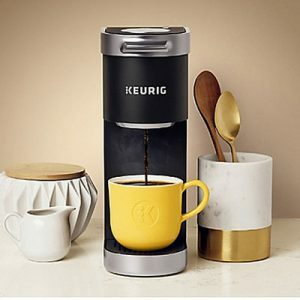 If you can’t afford a new coffee maker or you simply love your Keurig too much, make sure to clean your machine on a regular basis. Clean the brew head and exit needles every month, water tank at least once every week, and descale your machine every 3,4 months. Here’s a detailed how-to. If that was just to gross and you want to get a different machine, I recommend Bonavita, Oxo or Moccamaster. Why? Besides the fact they make a great cup of coffee, they are also really easy to keep clean. There are lots of removable parts and very little places for mold to hide. Here’s my list of the best drip coffee makers right now. It might seem like a trend, but going completely plastic-free is one of the best decisions you can make and for so many reasons. Here are my favorite plastic-free tools for brewing a great cup of coffee at home. Best of all – they cost less than $40. Have you seen these videos yet? Any thoughts? !